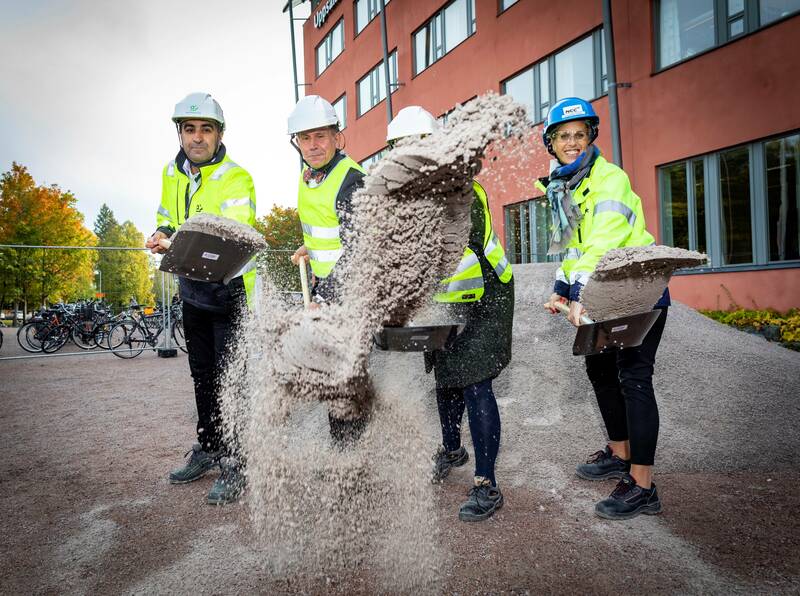 On Tuesday we broke the ground for the new Ångström expansion. This will add a further 30,000 square metres to our lively laboratory, bringing the total area to 100,000 square metres. The Department of Information Technology will move in and there will be space for an auditorium, a library, classrooms, offices and meeting areas. This investment in the future will enable us to develop our activities and is the largest new venture so far undertaken by Uppsala University and Akademiska Hus together. Enhancing our capacity for renewal was also the topic at the deans meeting, a forum that gathers some fifty participants twice a year. The deans, vice-deans, vice-rectors, advisers to the Vice-Chancellor, students and managers from the administration come together for strategic discussions led by the Vice-Chancellor, Deputy Vice-Chancellor and University Director. This time we were at Stora Brännbo Conference & Hotel in Sigtuna. We began on Wednesday afternoon, when the six advisers to the Vice-Chancellor talked about their roles. Each of the advisers is responsible for a particular area in which they drive development efforts. 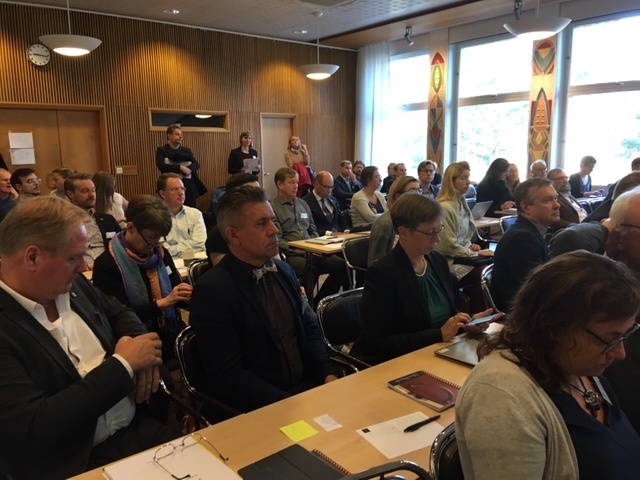 Our advisers to the Vice-Chancellor are Anna Rutgersson – sustainable development; Anders Backlund – internationalisation; Cecilia Wejryd – equal opportunities; Olle Jansson – Campus Gotland; and Stefan Eriksson – good research practice. You can find pictures of the advisers here. Kay Svensson, Deputy University Director and International Coordinator, gave a status report on European Universities. This is about giving concrete form to an initiative launched by French President Macron that has taken off in the EU. The basic idea is to increase cooperation between European universities and we expect a call for the pilot scheme to be launched in October. Along with our friends in the U4 network, augmented by the University of Tartu (Sweden’s second oldest university), we are set to apply to be a node in this new initiative. We will build on the good cooperation we have already established, though many details still remain unclear – so far we are aiming at a moving target. If we are successful, it will have great potential benefits for our education and research, but above all, it will enable us to influence the shape of future cooperation between European universities. It was interesting after that to hear about the issues the student body wants to focus on in the year ahead. In many areas we can link arms and support one another. To wrap up the first day, the vice-rectors told us what’s in the pipeline in their disciplinary domains. We continued on the theme of the future on Thursday. We began in the morning with an introduction to the project on revising “Uppsala University: Mission and Core Values”. How should Uppsala go about strengthening its position as a world-leading university? What sort of strategies should we have for education and research? How should we work on quality, skills development, infrastructure, sustainable development, equal opportunities, internationalisation and good research practice? There were many questions and the group discussions were lively. The discussion will no doubt continue in many parts of the University. After that we had a presentation and report on Development Plan 2050 and the second day ended with a status report on fundraising. We had a busy programme, in good spirits, and we can conclude that as always a lot is going on at Uppsala University. But we are also pleased that no matter how successful we have been historically, we always aim higher. This weekend we will celebrate our 541st anniversary. In this connection, the Royal Academic Orchestra is giving a Beatles concert in the Grand Auditorium on Saturday and Sunday, under the slogan “Come Together”, in true University spirit.